On reading the first chapter I was really excited - we had atmosphere, we had tension, and we had a petty criminal finding himself trapped when a robbery takes an unexpected turn. In summary, it wasn't a winner. So, characters weren't as fleshed out as they would be in the later books, and there were elements of the plot that were just a little bit too ... conventional ... for me. Like the ending, ... which I won't go into detail of. 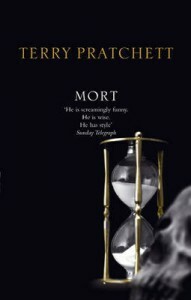 However, when Pratchett tackles complex and philosophical conundrums, I - having read some of his later books - expect more than a black-and-white template solution. As it was, I thought he was a bit of an arse in this. So was Albert - he did not come across as the same Albert I met in Hogfather. 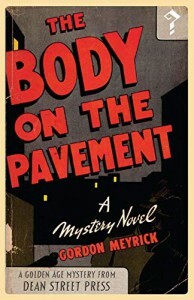 What an interesting and fun experiment this must have been for the members of the Detection Club to write a mystery - in full compliance with club rules - where one author built on the previous chapters but without having a collective idea about what the plot should be. As much as I loved seeing each author bringing their individual style to the project, the overall product left me stranded after a few chapters - by the time Ronald Knox summarised all of the clues the preceding chapters had presented to the reader I was lost. After Knox had finished with his list, I had largely lost interest. And I have to say, Dame Agatha's chapter and solution stole the show for me. She clearly had fun writing her parts for this project and clearly did not take herself seriously in this at all. It was so much fun to watch this. Guess what I found on sale at my library today? To be fair, I only got the other two books because it was a 3 for £1 sale. WE’VE GOT A FEW MINUTES, said Death, taking a drink from a passing tray. LET’S MINGLE. REALITY IS NOT ALWAYS WHAT IT SEEMS, said Death. ANYWAY, IF THEY DON’T WANT TO SEE ME, THEY CERTAINLY DON’T WANT TO SEE YOU. THESE ARE ARISTOCRATS, BOY. THEY’RE GOOD AT NOT SEEING THINGS. WHY IS THERE A CHERRY ON A STICK IN THIS DRINK? IT’S NOT AS IF IT DOES ANYTHING FOR THE FLAVOUR. WHY DOES ANYONE TAKE A PERFECTLY GOOD DRINK AND THEN PUT IN A CHERRY ON A POLE? “I say ‘No,’” repeated Mrs. Davis, nodding her head very violently. “No to what?” asked the Inspector, still puzzled. Ok, ok, Dame Agatha must have had fun with this one. It certainly reads like she wrote this chapter with a twinkle in her eye. Mrs. Davis sounds like a fun character. Oh, and I am already looking forward to using "cut the cackle and come to the horses" in whatever next work meeting goes around in circles. I just finished Chapter 2 and I really like it. However, this is going to be a much slower read for me than anticipated. Real life shenanigans, work trip preparation for next week, etc. are using up most of my ability to focus on details and clues this week. 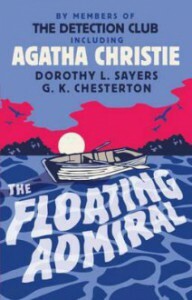 Just a quick note to say that I have started The Floating Admiral for our buddy read this lunchtime. I have skipped the Introductions etc. and have jumped in right at Chesterton's Prologue - which I liked a lot. It had all the snark of Chesterton and all the atmosphere of an old Mr Moto movie, which I am sure will come with some a hefty dose of eye-rolling at some point, too. Or at least a reminder to some of the abysmal aspects of The Big Four. "We talk of the mystery of Asia; and there is a sense in which we are all wrong." Reading progress update: I've read 37 out of 252 pages. He and Peggy had never quarrelled, Ray thought. Perhaps that had been part of what was wrong. Ray considered himself – because he had been told it often enough by other people – easy-going, which was on the helpful side in a marriage, he supposed. On the other hand, Peggy had never been demanding, had never held out for anything he thought unreasonable, so there had simply been no occasion for quarrelling. He hadn’t particularly wanted to spend a whole year in Mallorca, but Peggy had (some place very primitive and simple, simpler even than southern Italy), so Ray had decided to look on it as a long honeymoon, and had decided he could spend the time well by painting and reading, especially reading art history books, so he had agreed. And the first four months, she had been amused and happy. Ray could even say the first eight months. The novelty of the rather barefoot life had worn off by then, but by then she had been painting, fewer hours a day but more constructively, he had thought. His thoughts trailed off, and he was as lost as ever for a reason for her dying. Coleman now had her paintings, had corralled every one, and also all her drawings, and had shipped them to Rome, not asking Ray if he might like one. Ray reproached himself for having let it happen. For this, Ray felt extremely bitter against Coleman, so bitter he tried to forget it whenever he recalled it. He looked now at the Lido lights, a long low streak ahead. He thought of Mann’s Death in Venice, of the hot, festering sun beating on that strip of land. Passion and disease. Well, this was not at all the weather, there was no disease, and the passion was only in Coleman. This is certainly different. Instead of a lead up to a death, we have the aftermath of one in this book. It's not a spoiler - the first sentence of the book tells us this. I somehow can't believe Ray is a trustworthy character, but so far we have no clues otherwise, except that Coleman also suspects Ray to hide something (to say the least). Reading progress update: I've read 1 out of 252 pages. I'm going to make something quick and easy for lunch, and then I am absolutely ready for this new buddy read with Lillelara. Reading progress update: I've read 242 out of 340 pages. Did you know, Alda says, that the word slogan was a Gaelic word originally? Your man there saying the word reminded me. From the words for the shout of the army. Sluagh-ghairm. Slogan. It means war cry. Tells you all you need to know about what slogans are always about, whether it’s take back control or leave means leave or don’t buy from Jews or I’m lovin’ it or just do it or every little helps. "Alda Lyons". Now that's an inspired name, Ms Smith. Also, I'm loving the interplay of current affairs, Shakespeare (Pericles), Dickens, modern art, history and ancient Greek mythology. The story hits all the right buttons for me. But then we all knew it would. Reading progress update: I've read 83 out of 340 pages. As he thinks it, an email appears in his inbox. very sorry but its close family only who will be speaking at the memorial. Will pass on the suggestion about the poem thank you but it is already a v busy programme. It is shaping up to be a v special day. Don’t go, the imaginary daughter says. How can we not? he says. We don’t need to, she says. I can’t not. I have to honour her, he says. So do something that’ll really honour her, she says. 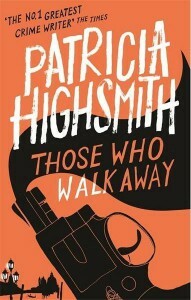 Richard has lost his best friend and much of this book so far is about grief. However, there these glimpses of something rising from the ashes, something growing out of the grief, scattered throughout the narrative. Needless to say, I'm really keen to find out where this is going. I also have feeling that tomorrow may need a lot of coffee to make up for the sleep I'm not going to get tonight. Reading progress update: I've read 51 out of 340 pages. Katherine Mansfield? she says. Really? Are you sure? That's the name, he says. Neighbours with Rilke? she says. And is it true? The acknowledgements page at the back of the novel swears it's true, he says. What kind of a novel? she says. Written by whom? Literary, he says. Second novel be Nella something, Bella. A lot of language. Not much happens. Oh, how I do like a good mockery of the literary novel in a literary novel. Reading progress update: I've read 3 out of 340 pages. Now what we don’t want is Facts. What we want is bewilderment. What we want is repetition. What we want is repetition. What we want is people in power saying the truth is not the truth. What we want is elected members of parliament saying knife getting heated stuck in her front and twisted things like bring your own noose we want governing members of parliament in the house of commons shouting kill yourself at opposition members of parliament we want powerful people saying they want other powerful people chopped up in bags in my freezer we want muslim women a joke in a newspaper column we want the laugh we want the sound of that laugh behind them everywhere they go. We want the people we call foreign to feel foreign we need to make it clear they can’t have rights unless we say so. What we want is outrage offence distraction. What we need is to say thinking is elite knowledge is elite what we need is people feeling left behind disenfranchised what we need is people feeling. What we need is panic we want subconscious panic we want conscious panic too. We need emotion we want righteousness we want anger. We need all that patriotic stuff. 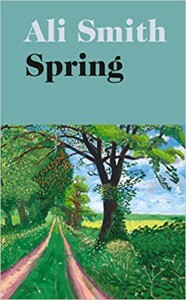 Fresh off the press, Spring landed on my kindle this morning (I may have to pick up the gorgeous hardback edition this weekend...just because). So, after a few weeks of watching the parliamentary debates on most nights, the opening paragraph of Ali Smith's new book is already resonating with me. Confession: I only got this book because I love the cover. I know nothing about the author or story. This was my first experience of MacInnes' work and I am delighted to say that I am looking forward to reading more of her books. 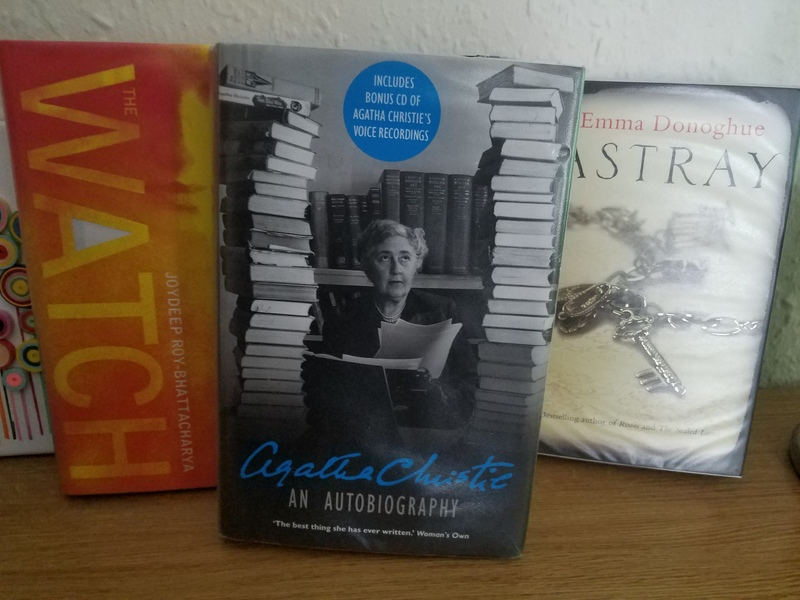 It appears that I have found a new series of books to sink into when I need something that is straightforward, smart entertainment now that I have finished Agatha Christie's books. 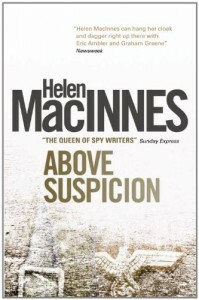 Not that MacInnes books are mysteries in the same vein as Christie's - they are not, MacInnes wrote thrillers - but judging by this first one, they have the same atmospheric, comforting feel to them. At least, Above Suspicion gave that impression. With respect to the plot, this is where I have some criticism: Unfortunately, the book is a product of its time and despite the author's efforts to give Frances a mind of her own, there is a certain plot development that sees Frances as damsel in distress. It does not do the beginning of the book justice. While I can understand why this particular plot development would have been appropriate at the time of writing, it did distract from what otherwise was a splendid, smart, and thought-provoking read.